It’s a DRONE-A-THON in the DC region and this time we’re not talking about a filibuster in the Senate. About 50 drone enthusiasts from the DC Area Drone User Group swarmed Nova Labs this past Sunday for an all day build and fly session. The event was organized by Christopher Vo, a drone researcher and Ph.D. candidate at George Mason University’s Autonomous Robotics Laboratory. Here’s a montage of the event. What’s better than a montage ?!! From the number of build sessions we’ve hosted and the individual drone projects that are ongoing at Nova Labs we’re realizing just how pervasive drones are in the maker movement. 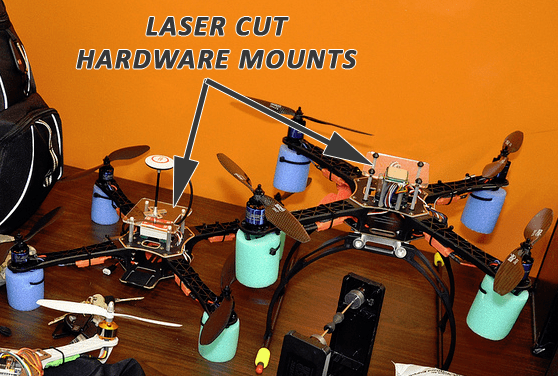 It’s a perfect marriage of tools and skill sets that enable drone building and innovation at makerspaces. What I’ll do in this post is highlight some of the ways members have used our tools, labs, and techniques on their drone projects. 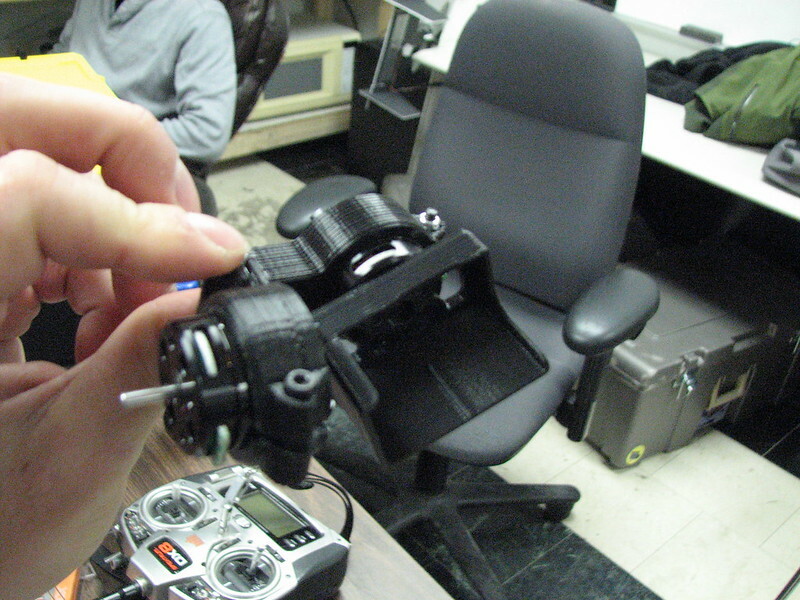 Ted Markson designed and printed this gimbal for his GoPro. Our laser cutter is a centerpiece of our space. 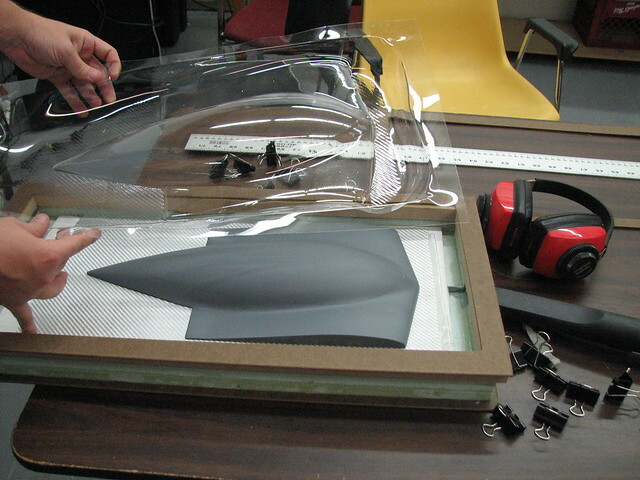 When building drones, a custom-designed piece of laser cut acrylic is often needed for hardware mounts. 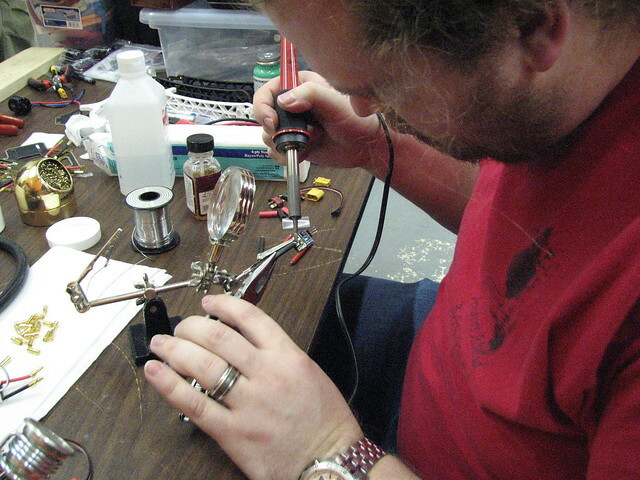 The soldering stations are an obvious need. 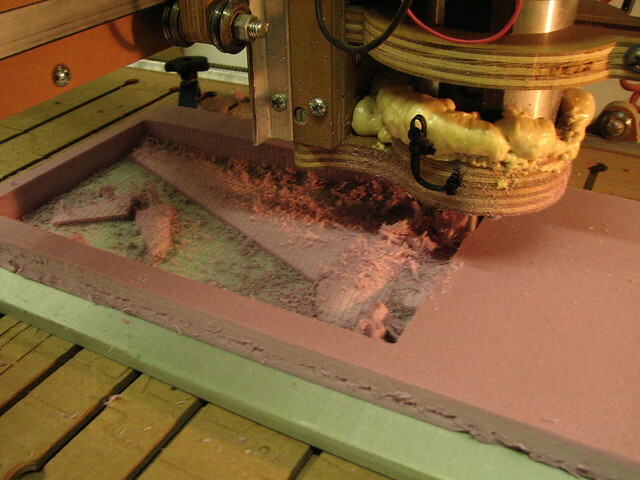 But we also find that the random bits and bobs we have in inventory often smooth over any gaps in the parts list. 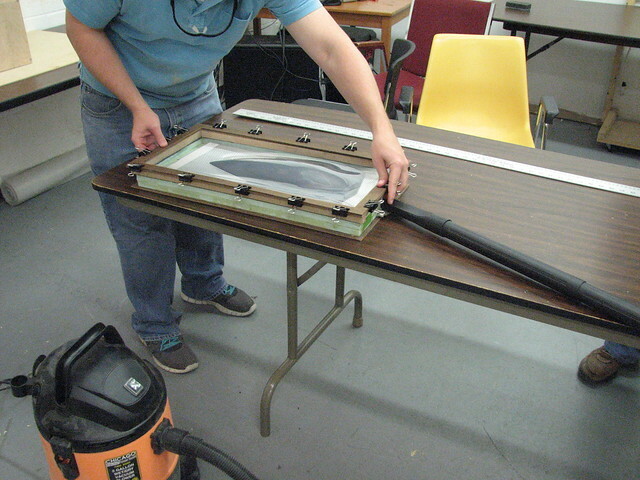 Things like connectors, heat shrink tubing, third hands, leads and our heat gun are sought out multiple times during these sessions. Many a gimbal mounts have been cut out on our Blacktoe. 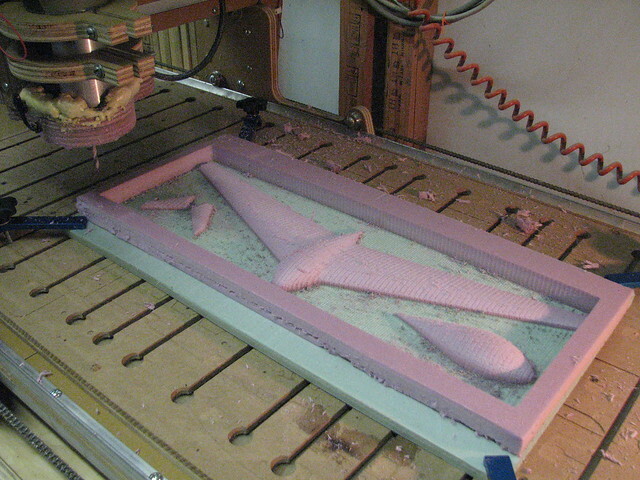 This has recently expanded to entire airframes for fixed wing UAVs. 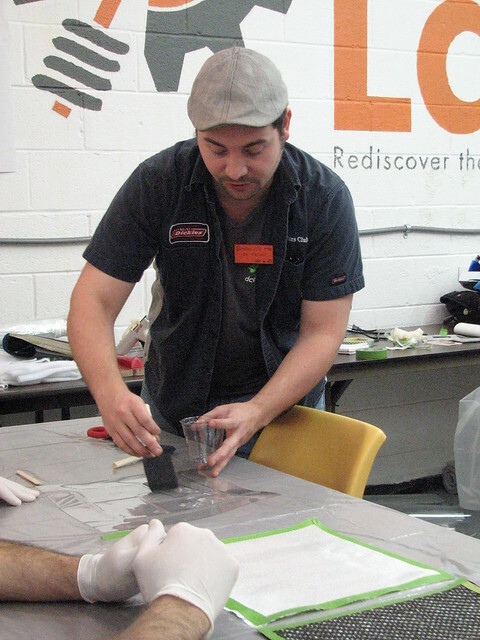 Bo also set up a a materials lab and has taught numerous classes on carbon fiber and vacuum form molding. Drones are finally getting the attention they deserve. Chances are they are being built at a makerspace near you!